An important wintering site for waterfowl using the Pacific Flyway, attracting more than 2 million ducks and 750,000 geese. Background: The Sacramento National Wildlife Refuge Complex, made up of Sacramento, Delevan, Colusa, and Sutter Refuges, and the Llano Seco Unit, is located in the Sacramento Valley. The Valley is the most important wintering site for waterfowl using the Pacific Flyway, attracting more than 2 million ducks and 750,000 geese. Surrounded by farmlands and flanked by the southern Cascade and northern Sierra Nevada and Coast Range, the permanent ponds and seasonal marshes of the Sacramento Refuges are a wetland wildlife oasis. These man-made marshes, flooded in fall and winter, mimic seasonal cycles and are among the nation's most intensively managed refuges. Thousands of northern pintails and snow geese gather on ponds, joined by tundra swans, mallards, grebes, herons, and long-billed dowitchers. Migratory shorebirds and resident mammals attract more than a dozen species of birds of prey, including peregrine falcons. At least 100 songbirds species have been observed here, including warblers, finches, swallows, an three types of blackbirds. The Refuges offer good year-round views of many mammal species, ranging from black-tailed deer and black-tailed jackrabbits to raccoons and muskrats. The greatest numbers of shorebirds use the Refuge during fall and spring migrations, with populations peaking in April when thousands of sandpipers pass through the Refuge on their way to the northern breeding grounds. Many wading and diving birds use the Refuge year-round, utilizing all wetland and some riparian habitat types for foraging, roosting, and nesting. Raptor abundance is greatest in the winter because of the high numbers of red-tailed hawks that winter in the Sacramento Valley. The Habitat: Managed Sesonal Wetlands (62%), Managed Summer Wetlands (8%), Unmanaged Wetlands (1%), Vernal Pools and Alkali Meadows (17%), Grasslands (5%), Riparian Forest (2%), and Miscellaneous Habitats (4%). The Experience: Today, 90 to 95 percent of California's wetlands are gone. Constructed levees now confine the rivers for irrigation and flood control, preventing the natural flooding of wetlands. Despite these changes, birds continue to fly their ancient migration routes along the Pacific Flyway and crowd into the remaining wintering habitat. The Complex provides a significant amount of the wintering habitat that supports waterfowl and many other migratory birds in the Sacramento Valley. 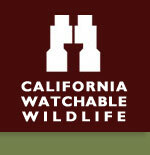 Wildlife and Where to Find It: There are auto routes on Sacramento Refuge (6- miles) and Colusa (3-miles) which meander along marshes and streams. Please note that the viewing platform is closed until Sprinmg, 2012. The Sacramento NWR tour route is open, and there is a continous FM radio interpretive broadcast that talks about the wildlife, refuge history and what to see & do. The Wetlands Walking trail, with a self-guided brochure, on Sacramento Refuge is 2-miles and the Walking trail on Colusa Refuge is 1-mile. Viewing Tips: There are close to 300 bird species and many nesting species. Waterfowl and birds of prey are most numerous from November through January. Shorebirds, songbirds, herons, grebes, and American white pelicans are seen year-round, but best viewed in spring and fall. The Visitor center at Sacramento Refuge is the best place to plan your visits. There are auto tours and walking trails on Sacramento and Colusa Refuges, and a viewing platform at Sacramento Refuge, Colusa Refuge and the Sacramento River Refuge, Llano Seco Unit. Site Notes: The Refuges' wetland, vernal pool, alkali meadow, grassland, and riparian communities provide high-quality habitat for a diverse array of wildlife species including migratory waterfowl, shorebirds, birds of prey, and songbirds. These habitats also provide food, water, and cover for threatened and endangered species including vernal pool plants and invertebrates, and giant garter snakes. The visitor services program at the Sacramento Refuge offers a six-mile auto tour, a two-mile walking trail, environmental education activities including presentations, guided tours, videos/DVDs, bookstore, a wildlife exhibit at the visitor center, interpretive kiosks with brochures, two photography blinds, teacher assistance, and a volunteer program. The visitor services program at the Colusa Refuge offers, wildlife observation and photography from a three-mile auto tour route, one-mile walking trail and one photography blind. Nearby Viewing Sites: Visit the Birding Trail Hotspot Map on the Refuge website. Parking Notes: Sacramento Refuge has an entrance fee. Parking ranges from Sacramento with 20 spaces and 4 bus spaces, Colusa 10 spaces and 2 bus spaces, Lllano Seco 10 spaces and 1 bus space. How to Get There: The Sacramento National Wildlife Refuge (Refuge) headquarters for the Complex, is 6 miles south of Willows. Exit 595 on I-5, turn north on 99W and travel 3 miles to the Refuge entrance. Visit the web site for detailed maps to each Refuge.